The mythical herb, sanjeevani, which saved the life of Laxman, brother of Lord Ram, as described in the epic Ramayana authored by Maharshi Valmiki, received widespread media attention recently when the Uttarakhand government proposed to spend Rs 25 crore in finding this miraculous herb. As the legend goes, Lord Hanuman arrived in the Himalayas to gather this life-saving herb, but since he could not identify sanjeevani, he uprooted a part of the mountain and carried it to Lanka. Because of the complexities in identifying this mythical herb, there is skepticism about the proposed project. The concept of sanjeevani is deeply rooted in the Indian traditional medicinal system. It is also an integral part of the cultural heritage of the country. Sanjeevani literally means something that offers life. People generally believe that sanjeevani can bring a dead person to life. But in the epic Ramayana and Ramcharit Manas, Laxman became unconscious while fighting Meghnath, the eldest son of demon king Ravana. So it is obvious that sanjeevani can bring back a person from a comatose to a conscious state. About two decades ago, I climbed to Dronagiri village—named after the mountain Dronagiri, the mythical habitat of sanjeevani—in Chamoli district, Uttarakhand. The village is located more than 3,500 m above sea level in the world-famous Nanda Devi Biosphere Reserve (NDBR). The village is in the upper-most limit of any human habitation in the NDBR. In the evening, I almost fainted due to a severe headache. A woman, who gave us refuge at her house in Dronagiri, offered a small herb root to me. It tasted extremely bitter, but within 45 minutes my headache disappeared. When I inquired, she told me it was katuki (Picrorhiza kurrooa), a herb which is commonly used by local people living at this altitude. Katuki cured my pain. Though this plant bears no resemblance to sanjeevani, I believe its properties are no less than that of sanjeevani. Like katuki, there are hundreds of medicinal plants that grow between the treeline and the snowline in the alpine meadows and grasslands. In fact, in the hills and valleys of Uttarakhand, I have documented 964 medicinal plant species. In the Valley of Flowers itself, I investigated and found more than 520 plant species after a decade-long investigation that began in 1993. Of which, 112 are renowned for their medicinal properties. Interestingly, there is a locality called Dronagiri in the Valley of Flowers, and during the growing season (from June to September) this area is filled with life-saving herbs including Fritillaria roylei, Megacarpaea polyandra, Dactylorhiza hatagirea, Picrorhiza kurrooa, Malaxis acuminata, Polygonatum verticillatum and P cirrhifolium. There are many medicinal miracles associated with Himalayan herbs. Chyawanprash is one of them. Its formula was originally devised by the collective efforts of many saints to rejuvenate the very frail body of Chyawan rishi (sage). The initiative of the Uttarakhand government to search for sanjeevani is not the first one. In 2008, Acharya Balkrishna of Patanjali Yogpeeth along with his colleagues, after surveying the high altitudes of the Garhwal Himalaya, reported that phen kamal (Saussurea gossypiphora) which grows above 4,300 m is the mrita sanjeevani. Since phen kamal has a white foam sort of bloom which glows in moonlight—one of the characteristics of sanjeevani as mentioned in literature—it was assumed to be the sanjeevani. More details are awaited as Patanjali Yogpeeth scientists are still testing these herbs. Apart from mrita sanjeevani, shalya karani, suvarnakarani and sandhani are reported to be life-saving herbs. A 2009 study published in Current Science screened a database of 1,000 species and found 17 species that have the name sanjeevani, its synonym, or words sounding phonetically similar. After further analysis, the researchers found that three species, namely Selaginella bryopteris, Cressa cretica and Desmotrichum fimbriatum (sanjeevani, rudanthi and jeevaka, respectively) had the closest and consistent reference to the term sanjeevani or the word sounding phonetically similar, however only sanjeevani is known to grow in the hills. While surveying the Pachmarhi Biosphere Reserve in Madhya Pradesh, I came across a plant called sanjeevani (Selaginella bryopteris). When I asked local people I was told that the dry leaves of this plant turn green once water is splashed on it. Though it possesses many therapeutic properties, scientists have not yet tested whether it can revive a person from coma. There are many such herbs that have high medicinal values, but unfortunately their medicinal properties are yet to be discovered or documented. In truth, every plant growing at such altitudes is a sanjeevani for a host of diseases. But most traditional herbal practitioners do not disclose their therapeutic properties. Though many research and scientific institutions, such as the Herbal Research and Development Institute in Mandal, Uttarakhand, exist in India, what is missing is collaboration between them to find solutions. Working in isolation cannot provide results. 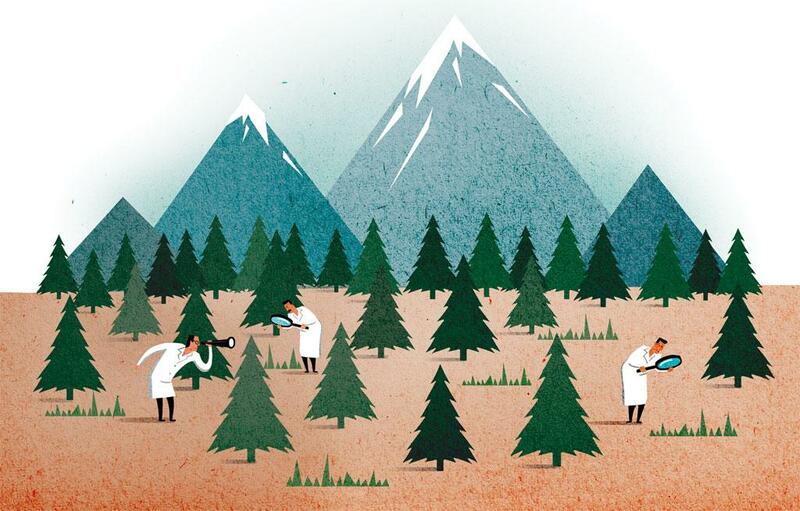 At the same time, plant taxonomists—who have become a rare species—need to be encouraged in such collaborative efforts. The government must also seek the expertise of different stakeholders, subject experts, and these efforts must systematically pass scientific rigour. The Uttarakhand government’s initiative must strive to identify, document and clinically test many miraculous Himalayan sanjeevani herbs in the larger interest of society. The story appeared in the 1-15 October, 2016 issue of Down To Earth magazine.